There are legal reason’s he cannot do this..
Just an idea 🤦🏼‍♀️ , yes we could all do it ourselves but Steve seems to have the knack ! Just an idea , yes we could all do it ourselves but Steve seems to have the knack ! Literally anyone can do it to a lesser extent! Don’t think any idea is necessarily a bad idea. It always good to hear different suggestions. Maybe this one isn’t that practical but they are always worth posting just in case. Not to knock The Bandit in anyway but the reason he has had continued success on Reel King is that he can martingale it to an extent, starting small and raising the stakes until he hits a top – it’s gone well so far with a few near misses but it can end up going horribly wrong if you go in deep and don’t end up hitting a top. Most people don’t have the bank roll to do this although he does seem to be luckier than most (plays the first poker home game and hits a royal flush!) so I know what you mean. With that said, of course, when the pot of money is lost, that’s game over. I would also add that bandit himself could add some to the pot and share the percentage. I don’t think there are any laws against this being done as a “group pull”. Brain Christopher does it all the time, although in person. That’s why I suggested £50-£100 each person . I think personally it would be a bit of fun to try . 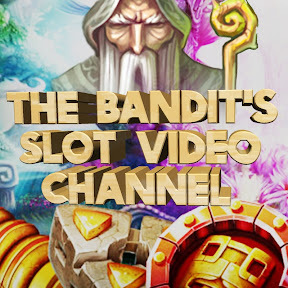 I would do this but on the understanding if he bandit loses our money then that is it,he doesnt then try win with his own cash and give it back to ppl..maybe get 20ppl with £100 so he has a 2k pot,start on £1.60 spins and increase if hit tops or lose too much that a higher top is needed,withdraw if triple balance? My thoughts exactly . I was thinking the same £100 each . Wouldn’t expect the bandit to put money in . It’s a risk at the end of the day but it’s a bit of fun and who knows he could ( that’s right could ) win a wedge for the people involved . I would do it but as someone else said,he would just feel guilty if/when he lost and end up doing his own nuts possibly because of us…just stick to trying it yourselves:). This sort of thing has been looked in to before and there are some grey areas legality wise and unfortunately, the resident pitch forkers would be straight on to the authorities lol It would be great fun to do a community pot video but it just isn’t really allowed.